Coming on the back of a decisive APGA win in the Anambra Gubernatorial Election over the weekend, Ndi-APGA Anambra have recorded another landmark victory as the Appeal Court this afternoon delivered its judgement in an appeal filed by the INEC and joined by Chief Victor Umeh against the judgement of Justice Chikere of the Federal High Court, Abuja which ordered INEC to include PDP in the postponed March 5, 2016 scheduled rerun election. Delivering judgement, Appeal Court said that the trial court erred by ordering INEC to include PDP. The appellate court ruled that since the PDP primaries that brought Iyom Ekwunife for the March 28, 2015 Anambra Central Senatorial was nullified by the Appeal Tribunal, Enugu on December 5, 2015 that PDP has lost the right to either conduct a fresh primaries or substitute their candidate. The Appeal Court went further to bar INEC from including PDP in the ballot and ordered for the rerun election into the Anambra Central Senatorial election to be conducted in the next 90 days. Anambra Central senatorial zone has been denied a senate seat since 2015 due to the impasse necessitated by the protracted court cases, as Iyom Uche Ekwunife was removed by a court after representing the zone in the senate for a few months. 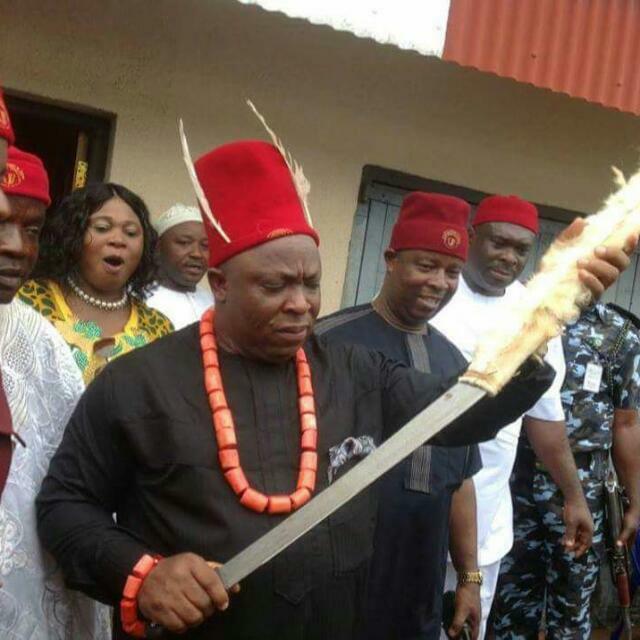 If the massive support enjoyed by APGA last weekend is a pointer, then its safe to say that Ohamadike Victor Umeh is set to fulfill his dreams of becoming a senator of the Federal Republic of Nigeria.